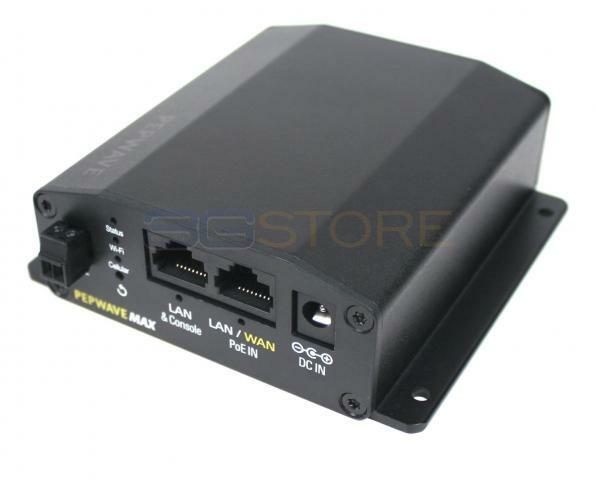 Congrats to Ryan J. of Salem, Virginia who just won a $25.00 Restaurant.com gift code for writing a review for Pepwave MAX BR1 Mini with North America 3G/4G/LTE Modem at 3Gstore.com! Every week we randomly pick one product review from the previous week and award the writer a $25.00 gift code. We appreciate ALL the reviews our customers write, whether they are positive or negative - honest reviews like Ryan J.\'s help other customers decide if the product is right for them. After you purchase a product from 3Gstore.com, we encourage you to log in and 3Gstore.com and leave a review letting people know how the product worked for you - you'll be helping others, and you'll automatically be entered to win a restaurant.com gift code!. Like the size, like the abilities, somewhat. One MAJOR issue is that you cannot use the WAN port, or Wi-Fi as WAN unless you purchase that failover license, which is about 30% of the cost of the machine. If you could have included, it would be great, without it, you have to pay more to have the same functionality as a regular router, which isn't a dealbreaker, but is disappointing.